I love having a couple of mini tacos rather than one big one, but small, mini tortillas are super hard to find- I'm not sure why. These two and three bite morsels let your taste buds experience the flavors together- it's a party in your mouth. 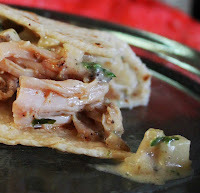 And the small tortillas allow this recipe to be used as an appetizer or as tapas. 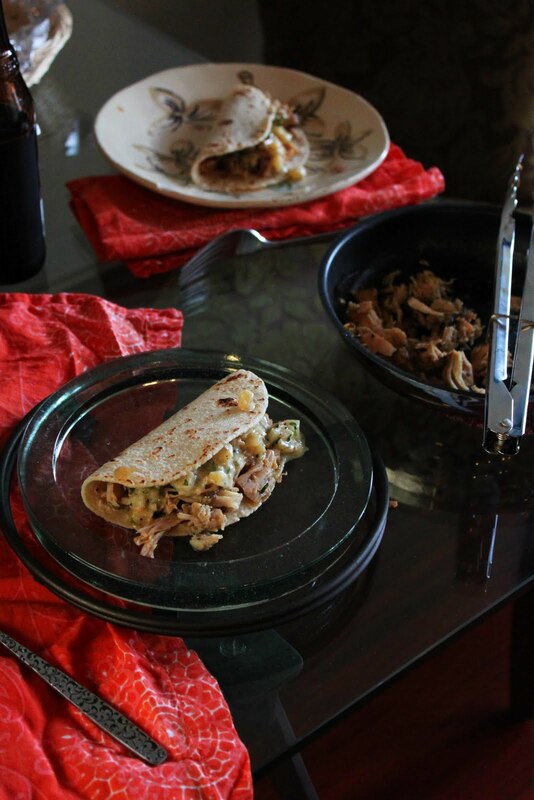 I used white corn tortillas this time because I was out of flour ones, but the flavor worked fabulously together. But use what you have and what you prefer. These are an outstanding taco - moist, cheesy and slightly spicy. It was Halloween the night we made these so we enjoyed a pumpkin beer with our meal, but any dark beer would work! Enjoy as a appetizer or as a full meal. Mini foods are fat and happy! Tips and Techniques: If you can't find the small 4" tortillas, simply buy the larger ones and cut small circles out of them.Save the edges for top soups or throw in salads. Cover, put heat on low - medium low, let simmer for a couple of hours. Saute onion and potato in olive oil until potatoes are nearly soft (this will happen relatively quickly when they are diced super small.) Add the poblano peppers and beer, toss. Add cream, simmer on low for minute. Add cheese and parsley just before serving. Buy small (2 - 4") flour tortillas, if you can't find the small tortillas, cut them out of larger tortillas. 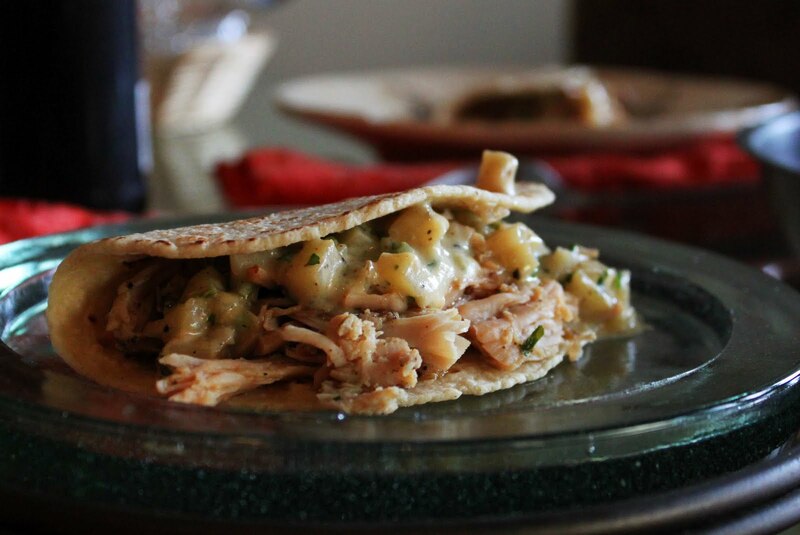 Pile a scoop of the pulled turkey in the middle of a tortilla, add a small scoop of potato fundido. Fold and eat! amazingly awesome and tasty. i even used chicken breasts and a summer lager, as that's all i had, and it was still fabulous. i think the corn tortillas really worked best, i don't think flour tortillas would have been as good. thanks for posting this!